Picture walking into the dining commons and seeing, instead of overcooked swai fish (who actually knows what swai fish is? ), heaps of free, locally sourced oysters. That actually still sounds a bit sketchy – let me start over: picture walking into a respectable Isla Vista dining establishment and seeing heaps of extremely cheap locally sourced oysters. In fact, picture a world where not just poor college students, but the dietary needs of the entire world’s rapidly growing population are fulfilled by not just oysters, but a variety of seafood. UCSB professor Steve Gaines, working within the Bren School’s Sustainable Aquaculture Research Center (SARC), recently received recognition by UC in the News for research intended to promote such a world through aquaculture. 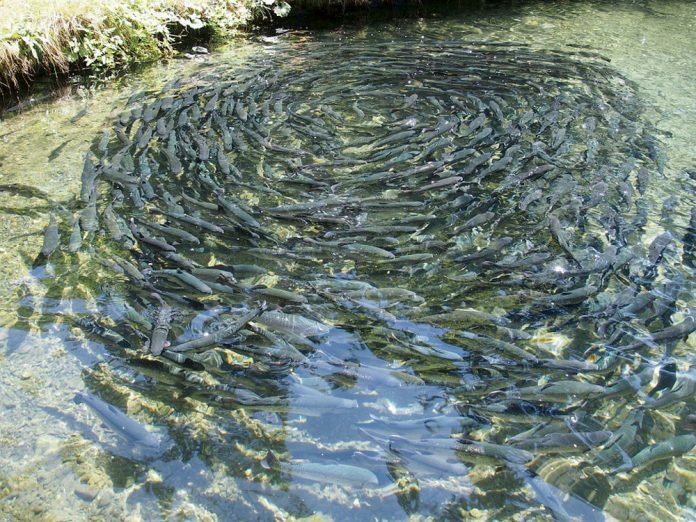 Aquaculture is the watery twin of agriculture, where fish and seaweed are farmed rather than traditional livestock, fruits, vegetables and grains. It is already a major part of our lives; aquaculture produces almost 50 percent of seafood consumed globally today and is projected to produce two-thirds of the total by 2030. With global fisheries in decline and human protein needs increasing in tandem with population growth, Gaines’ and his team envision aquaculture as a way to feed humanity and counteract the environmental devastation of overfishing. “There are some really bad ways to do aquaculture, but if you look at best practices, they are dramatically better than any production on land. In many cases, it’s 50 to 100 times higher environmental impact to produce on land than in the ocean,” Gaines told UC in the News. While the environmental impact of the farming of certain fish is well documented, the nuances of aquafarming are often overlooked. Shellfish, simple feed fish like tilapia and carp, and seaweed could form the backbone of a sustainable future for fish. Shellfish and seaweed receive 100 percent of their necessary nutrients from their ocean environment without human intervention; the feed for fish like tilapia and carp inflicts a far lesser environmental impact than that of popular but overfished predatory fish like tuna and salmon. SARC combats stigmas against farmed fishing by striving to improve aquaculture through research. On its website, SARC argues that, “A combination of factors, including past unsustainable practices, cheaper but less healthy foreign-grown products, and a lack of understanding of actual environmental impacts, has led to inefficient permitting for offshore aquaculture ventures,” and thus misconceptions about the viability of aquaculture. UC in the News described SARC’s involvement in empowering small scale fishing communities around the globe, a partnership with UC San Diego researchers, and restoration work using mussel aquaculture to restore California’s decimated coastline. According to analysis by SARC, Santa Barbara’s coastline serves as one of the most lucrative potential aquaculture beds for mussels along the California coast. Aquaculture companies such as the offshore farm-oriented Santa Barbara Mariculture partner with SARC to evaluate and reduce the environmental impact of their operations. It is worth noting that Gaines and SARC promote a glorious vision for the potential of aquafarming as well as the companies they partner with. The researchers are careful to note that the research is still in process and mitigation of environmental effects and the maximizing of production is still imperfect. Nonetheless, Gaines and the SARC team seek to illustrate the proven benefits of aquaculture, both through increased food yields and environmental benefits—they successfully have in countries around the world. The idea of lush shellfish farms, mussels or otherwise, in our backyard is certainly appealing. Even better, one can imagine a future where a bounty of environmentally friendly ocean harvests sustains humanity’s growing population. Students should explore the SARC website and the National Oceanic and Atmospheric Administration’s Office of Aquaculture website to learn more about recent aquafarming development or explore government jargon on the subject. Very nice and informative article for farming fish. Also helpful enough.